The best bits from the Star Wars Universe. 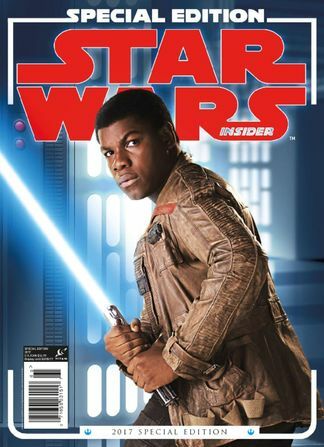 The eighth volume of Star Wars Insider’s yearly collections of material includes classic features including interviews with actor John Boyega (Finn, in Star Wars: The Force Awakens) and writer Lawrence Kasdan (Star Wars: The Force Awakens) alongside all-new material exclusive to this collection! Be the first person to tell us what you think about Star Wars Insider Special Edition 2017 and you'll save $5 on your next purchase! https://www.isubscribe.com.au/star-wars-insider-special-edition-2017-digital-subscription.cfm 39077 Star Wars Insider Special Edition 2017 https://www.isubscribe.com.au/images/covers/au/5254/39077/square/StarWarsInsiderSpecialEdition219201794121.jpg AUD InStock /Digital/Entertainment/Movies The best bits from the Star Wars Universe.